Perhaps you have heard about the benefits of practicing mindfulness meditation, but don't know where to start. (For even more information, click here.) Apps can be an accessible way to start your mindfulness practice, but there are so many out there that it can be hard to choose which one to try. There's no need to try all six of these, but it may help to do some exploring and find out which one resonates the most with you. Aware offers a free 7-day foundation course, ambient sounds, and custom meditations. However, some features, including the 21-day foundation course, require a paid subscription. In addition, the more advanced programs require you to complete the fundamental course before they are "unlocked" so this one might be a good starting place for beginners. The website also features a blog and includes posts from users about their experiences with the app. 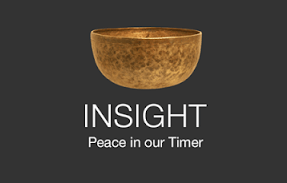 Insight Timer offers a meditation timer, guided meditations, talks by meditation teachers, ambient sounds, and the opportunity to connect with other meditators in your area. Headspace is probably the most well-known app at this time. Their colourful website hosts a blog, a podcast, and articles on a variety of issues related to your general well-being. The app offers a "Basics Program" to help get you started for free. It also provides reminders and ways to track your progress in your Apple Health Kit. However, if you want to pick a meditation based on mood or activities, or even one for kids, you need a paid subscription. Calm features sounds and visuals of nature, music, and a 7-day and 21-day program for beginners. You can also download the meditations for offline use, which is helpful when you are out of data. While it does have free services, they are limited and many of the meditations require payment. 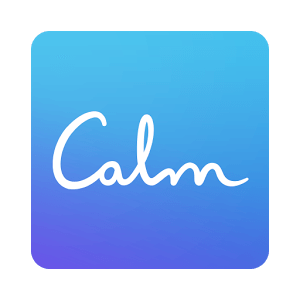 Calm has also has a website with a blog, subscriptions, sleep stories, and background nature sounds. This can be useful if you're at a computer all day and need some calming music or a visual to centre you. 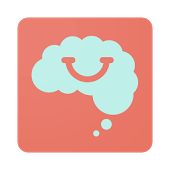 Smiling Mind is a non-profit service focused on making mindfulness accessible and is based on donations. It offers general meditations as well as for sports, the classroom, and the workplace. One of its most unique features is the programs specifically designed for kids, which comes with its own set of modules created for different ages. Most meditations are under 10 minutes, but there are a few options for 20-45 minute guided meditations, as well. This app also allows you to download meditations for offline use. While Relax Meditation offers a few introductory meditation practices, its main strength is a selection of ambient sounds. If you struggle to sit with silence, you can meditate to sounds such as falling rain, a crackling campfire, a purring cat, or a unique combination you create yourself. You can download features for offline use with this app, as well. I enjoy this one at bedtime as it will turn itself off after a set time. That's pretty handy for someone who loves falling asleep to the sound of a thunder storm. Remember: your practice doesn't have to be an hour long. If you are completely new to mindfulness, I encourage you to start with 5 minutes or less. Over time, aim to add an additional 30 or 60 seconds as you continue to grow and develop the practice.